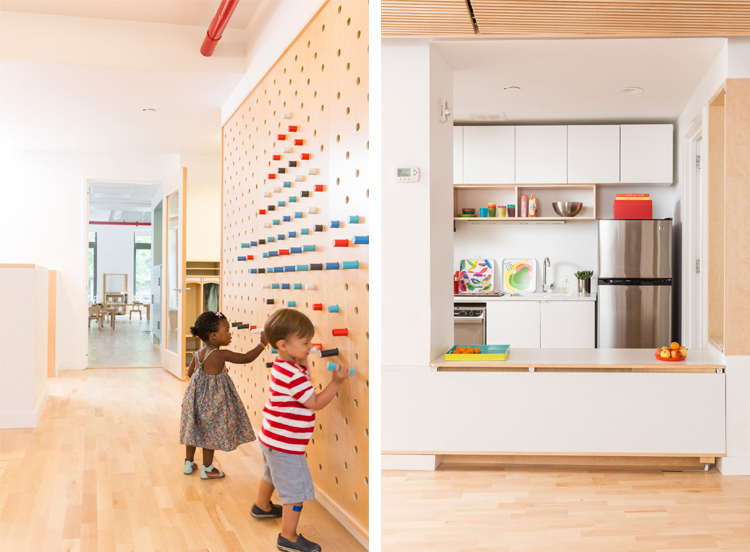 Pale maple timber, blank white walls (to take the children's' art) and spots of colour all work together at this preschool situated on the second floor of a new tower to create a cohesive and calming space which does in fact feel like an extension of one's home. Three classrooms catering 16 children each are arranged linearly with sliding pocket doors connecting each. At the end of this arrangement is a multi-purpose shared space housing a flexible "food-truck like" kitchen which hosts a daily "cafe-time". 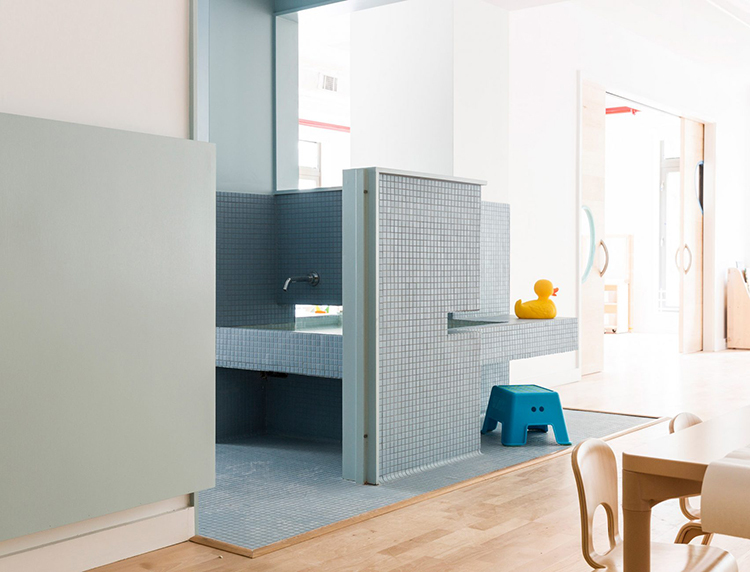 Semi-open bathrooms are positioned between the classrooms with surfaces covered in porcelain-tiled grey-muted blues and greens. 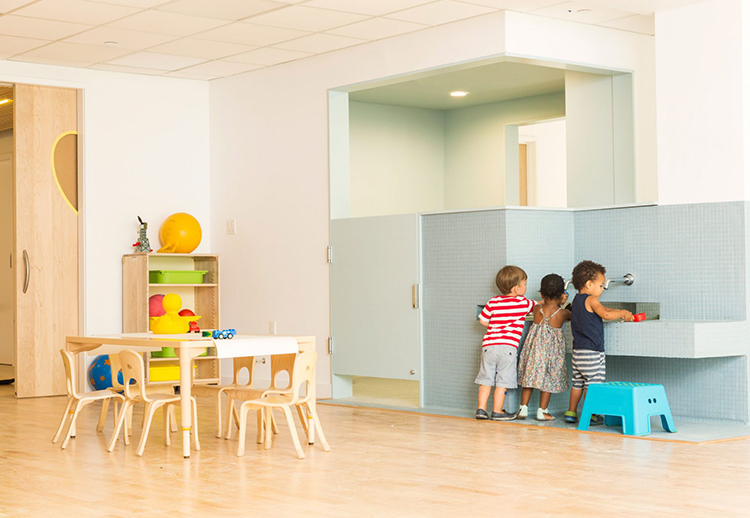 Inter-connected sinks, one of which cantilevers out to the classroom makes for a nifty water-feature and easy clean-up after messy eating or games. 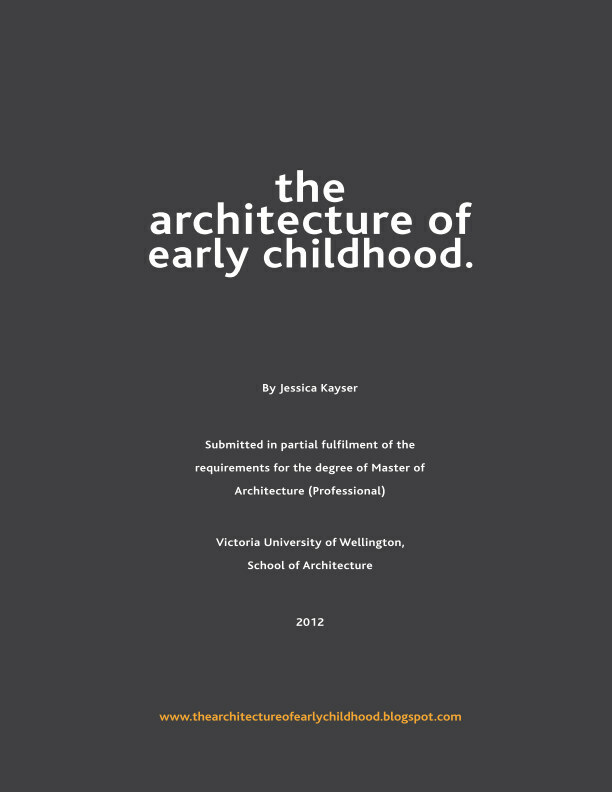 The architects, Alexandra Barker (of BFDO Architects) and Priya Patel (of 4|MATIV) won over the existing Maple School (who were looking to expand their premises) and developers of the tower Hudson with their proposal that reflected the centres' ethos of being an "extension of the home". 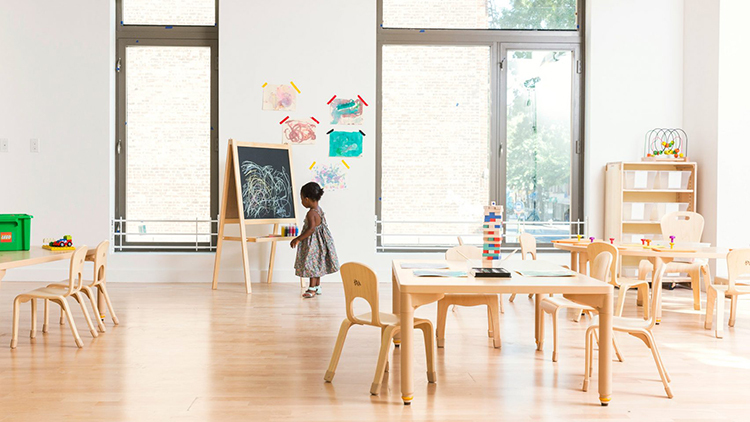 "Where co-operation and involvement are emphasised, where each child is nurtured in a warm and caring atmosphere and where curiosity and play are central to learning." It is truly comforting to see steps being made away from the institutional and towards architecture that nurture their young inhabitants. Via Dezeen, Architects Newspaper and Metropolis.